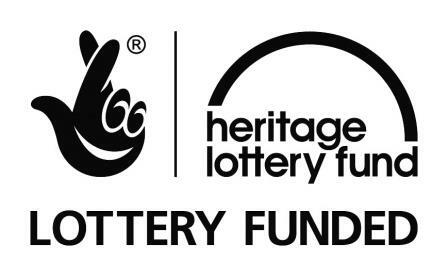 During 2015-2016, the medical museums had a new partnership with The British Museum on the Learning Museum project funded by Skills for the Future from The Heritage Lottery Fund. The aim of the project is to diversify the museum workforce and the project was specifically looking for local residents who may not have even considered working in heritage. Applicants were not expected to have a degree, but were required to be enthusiastic and intrigued by the world around them and the stories which museum artefacts can tell. The purpose of the programme is to equip trainees with necessary skills and knowledge to work in the museum sector. The programme also supports trainees to think about longer-term career opportunities, and enable them to gain real experience to refer to in future job applications. The aim for the medical museums was to recruit someone with passion and enthusiasm for engaging with the public, and for them to be curious about objects and the stories they can tell. Meet Lewis Jones! Lewis has now left the teams at Worcester's Medical Museums, but you can read his weekly log, which includes the interesting tasks he was involved with over the year, by clicking here. His final update for our supporters was included in the museums' Autumn Newsletter. Take a look. Over the past 5 months, I have slowly come to realise just what is needed to run a museum. As I work in two very small museums, I have been able to have a go at practically everything there is to do when running a museum! Whilst I haven’t been able to do a few of the tasks presented, and I have had a good go at a lot of things now, I have enjoyed every minute of it! The opportunity to try all these jobs, both big and small, is wonderful. One of my jobs, at the moment, is to develop a community engagement event! Whilst it was difficult to come up with ideas at first, I am now well away to planning a 4 session event centred on mental health and music! I am very interested in mental health, and how it affects young people, as I have a few personal ties to the subject. I am also a part-time musician, and believe that music is a powerful tool when helping people with mental health issues. I am hoping to engage with students at the university, and have someone to talk to them about this all. This project is currently going on in the background, behind all the other work I do for both museums, and is slowly taking shape. In my previous post, I mentioned about going to partner museums to the Learning Museum scheme. So far, I have visited Edinburgh, Durham, and Oxford. In January, we hosted a training day too! The next two I will be attending will be the Imperial War Museum North, in March, and the Ipswich and Colchester museum service in April! Other locations, later in the year, include; Belfast, Nottingham, Worthing, and Liverpool. We are the smallest, both The Infirmary and the George Marshall Medical Museum, by far! The next few months will be brilliant, with many new projects to work on, and various other duties to do! The recruitment process was lots of fun, as the medical museums hosted three taster days in the Spring and Summer of 2015 to attract as many applicants for the role as possible. Activities included mystery object games, tours, creating exhibitions and object handling.